What could be more fun for kids than to hop like a frog, slither like a snake, and roar like a lion--all while learning an empowering, healthy life skill? 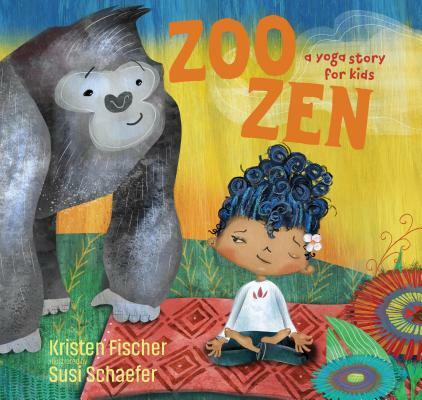 Zoo Zen: A Yoga Story for Kids is a delightful pose-along adventure for children ages four to eight. Young readers will join our heroine Lyla as she learns ten yoga poses from her friends at the zoo, receiving helpful tips along the way from each animal she encounters. Using rhyming and counting to make memorization easier, here is an imaginative book that combines the benefits of yoga with kids' natural love for animals to create a magical learning journey that parents and kids can enjoy together. Kristen FischerKristen Fischer is an author whose adult books include When Talent Isn't Enough (Career Press, 2013) and Ramen Noodles, Rent, and Resumes (SuperCollege, 2008). She has published articles in Health, Woman's Day, and more. Fischer is married and lives at the Jersey Shore. For more, visit kristenfischer.com.Susi SchaeferSusi Schaefer trained as a classical stained glass painter in Austria before studying graphic design at UCI in Irvine, California. There she fell in love with writing and illustrating children's books. Susi lives with her family in North Tustin, California. For more, visit susischaefer.com.